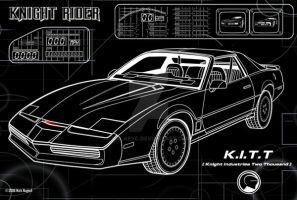 Layout of my KARR lineart based on the original KITT kit promotional artwork from Season 2 of Knight Rider. I created an entirely new front view and side view details including reworking the front nose of the original KITT artwork in the KITT kit. If you use or alter this somewhere, please give me credit.